So today after Mass and after caffeine-ing myself up at coffee hour, I went to Amvets. I know, that sounds like an, ahem, impious thing to do. 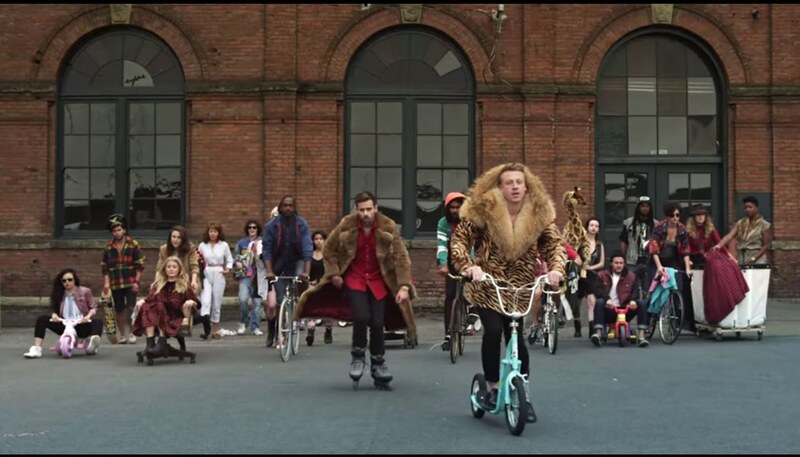 But my mother used to see nothing wrong with thrift shopping after church and so neither do I. It is charity, is it not? 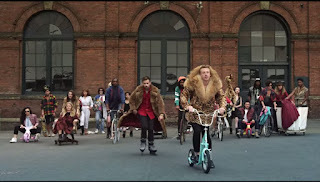 Anyway, there I was, thrift shopping, like Macklemore up above. See, just because I am the biographer of Leonard Pennario does not mean that popular culture escapes me completely! I found a couple of things, and I am standing in line, and I see this angel sitting on the counter. Well, standing. The statue was about a foot and a half tall and it was so beautiful. The angel's hands were folded in prayer and his (or her) head was downcast. It was just so reverent. This was the first Sunday of Advent and I was still feeling this glow from singing "O Come O Come Emmanuel" and everything. I wished I could buy that angel! But I could not. Because these other people had bought it. These two women in front of me had bought it along with a whole lot of other stuff. There was a brief lull in the Amvets action and I spoke up. "That is a beautiful angel," I said. "It looks as if it came from a church." "Yeah?" she said. Then she went back to yakking to her friend. They were all boisterous and got into a loud mock argument about who was going to carry the angel out. "You're not making me carry this thing," yelled the woman I had spoken to. Somehow or other the poor angel made it out of Amvets and that was that. I wonder where he is now. He was $14.95. Darn, just over the limit where I could have used one of those $4 coupons from the back of my Tops receipt. It made me kind of blue. Then I thought: Oh well, the angel might be meant to go where it is going. He might have a job to do. Someone might look up at him or over at him and, well, you never know. By the time I left Amvets I was totally convinced things were as God intended. More importantly it was not up to me. Now I am feeling guilt because I did not rescue this pristine Infant of Prague right near the checkout. 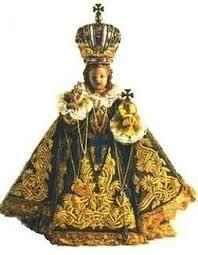 I have an Infant of Prague already, need anyone ask? I don't know where it came from. It just kind of appeared in my home and the other day I moved it because I was afraid Jeoffry would knock it over. .. only the garb is purple and far more fanned out. I know, I know. This sort of thing, this Infant of Prague, is always laughed at now. It is such a big, slow target! But once such an Infant of Prague would have been an object of great devotion. Polish people especially had them, I think. It is terrible, you know, nobody has relatives who want these things, and so they go to Amvets. Then there I am looking at it and feeling bad. Remember when I went back to that estate sale to rescue St. Joseph? That cannot happen every day. My house is only so big and already Howard deserves a gold medal for putting up with me and all my saints and angels. So, anyone Polish out there? Anyone needing an Infant of Prague? Because there is one going begging.